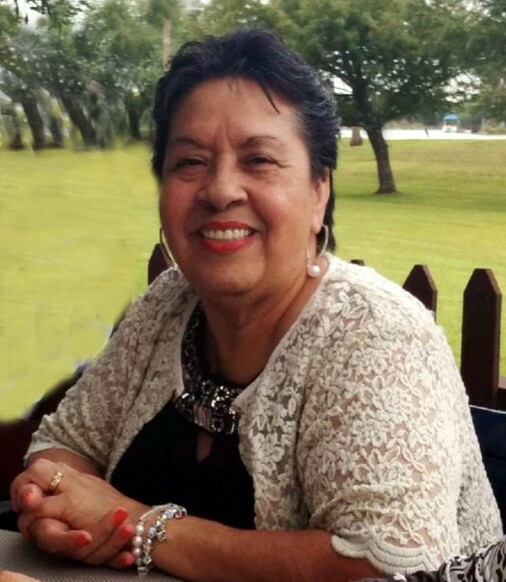 EDCOUCH – Celia R. Sanchez, 70, passed away Wednesday, March 27, 2019 at Rio Grande Regional Hospital in McAllen, TX. She was born July 2, 1948 to Raul and Maria Rosales in Mexico. Celia is survived by her son, Juan Luis Sanchez; brothers, Raul (Martha) Rosales, Jesus (Sandy) Rosales, and Juan (Jane) Rosales; sisters, Estefana (Pilar) Garcia, Teresa (Rodrigo) Ramos, and Emma (Juan) Alvarez; and numerous nieces and nephews. She is preceded in death by her husband, Luis Sanchez; parents, Raul and Maria Rosales; brothers, Ovidio Rosales, Guadalupe Rosales, and Manuel Rosales; and sister, Elida Zamorano. Viewing will be held Thursday, March 28, 2019 from 2:00 p.m. to 9:00 p.m. with a Holy Rosary at 7:00 p.m. at Cardoza Funeral Home Chapel. Viewing will continue Friday, March 29, 2019 from 8:30 a.m. to 9:30 a.m. at Cardoza Funeral Home Chapel. Funeral Mass will be held at 10:00 a.m. at St. Theresa of the Infant Jesus Catholic Church in Edcouch. Interment will follow at Anahuac Community Cemetery in Edcouch.